Spotlight is another of the major awards contenders this year, having won acclamation from critic organisations and festivals around the globe. It is one of the more conventional outings in the already formally conservative Best Picture category, but I am a sucker for a good procedural. I usually hold it against a film if the ‘based on real events’ factor is used to qualify its existence, but director Tom McCarthy does not use the noble cause of the film as an excuse to produce anything less than a gripping investigative drama. 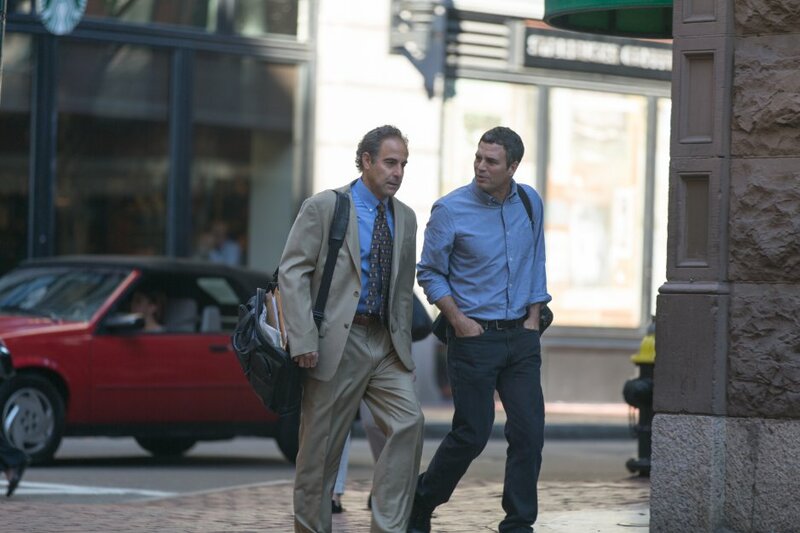 Spotlight is a biographical piece, charting the 2001 Boston Globe investigation into large-scale child sexual abuse and the cover-up operation perpetrated by the Catholic Church in Boston. I can’t speak to the degrees of license taken by the filmmakers, but the events depicted are engaging and, above all, damning. The fact that the resolution, by virtue of being factual, is a foregone conclusion and is in any case heavily foreshadowed (read: spoiled) by the promotional material could well be frustrating for some. Personally, I felt this fell into the category of procedural where the satisfaction is derived very much from seeing the workhorse logistics that build to a well-earned finale. In this case, the film is very keen to display the process of investigate journalism – with the necessary edits to spare you the long man-hours. 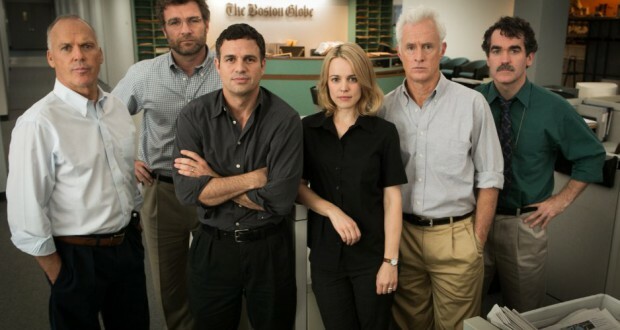 The approach to the visual story-telling is probably the most conventional aspect of Spotlight. It does feel very televisual in its sensibilities and has little to offer in terms of innovation or mastery of the medium. 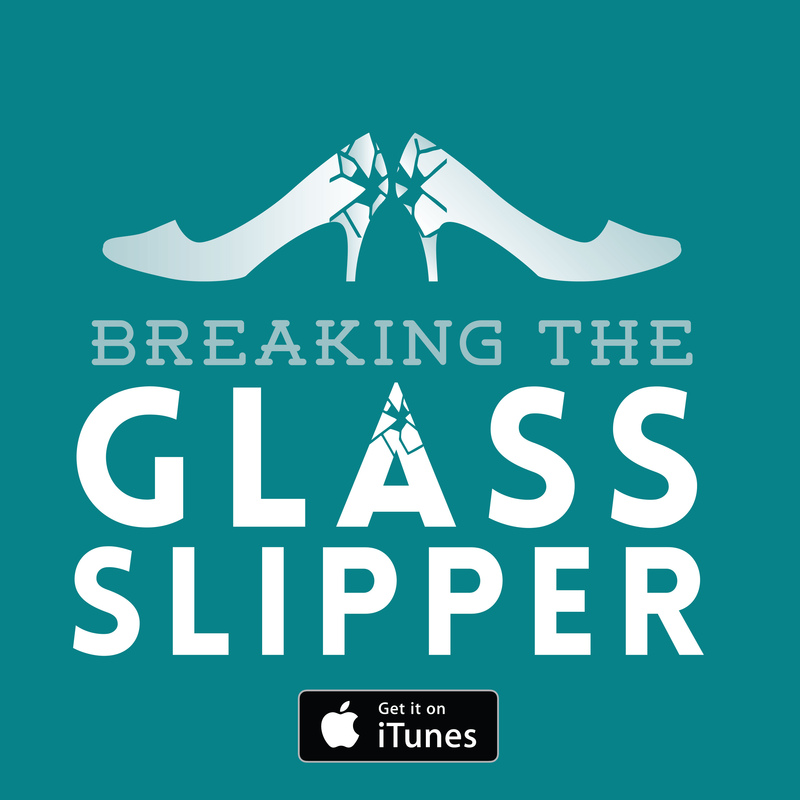 It’s not ineffective direction, and perhaps the small screen style adds a certain dating aspect to proceedings. It just seems odd that a film getting this level of praise isn’t an exemplar of cinematic technique. Spotlight does have exemplary credentials in the performances though. The investigative team are the functional protagonists. 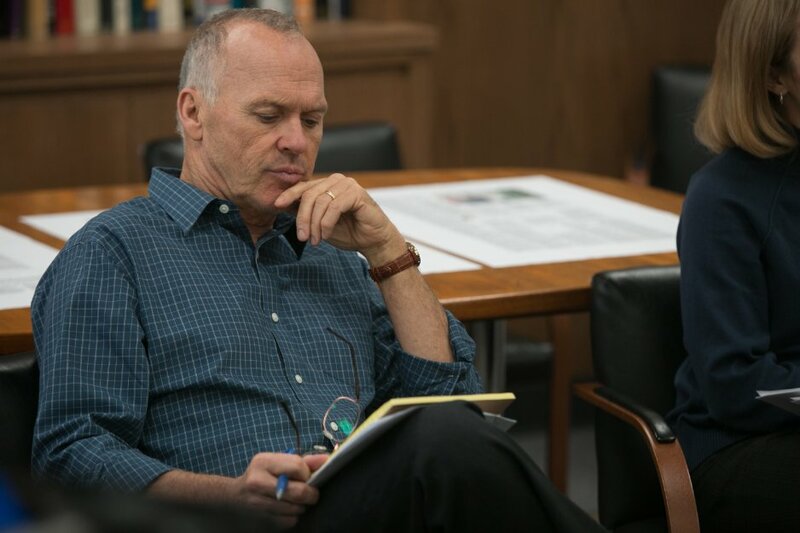 Michael Keaton feels like the main driver of proceedings as the ‘Spotlight’ team leader Robbie Robinson but Mark Ruffalo, in fact, gets first billing. 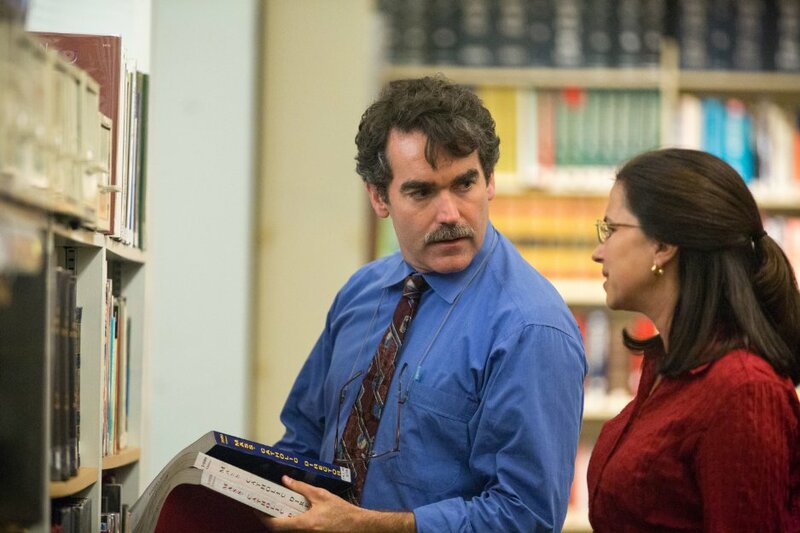 Ruffalo once again proves a very good chameleonic presence: he’s not under heavy make-up or anything but he does much to assuage his ‘big name’ status by imbuing his character Mike Rezendes with distinctive ticks and movements such that you forget you are watching a movie star. My favourite performance though was one of the more restrained ones. Liev Schrieber as the then-new editor-in-chief of the Boston Globe, Marty Baron, has only a few scenes but delivers an endearing form of awkward principle. There are undercurrents (and some overt volleys) that he is not going to be liked in town because he is an outsider, and some of the subtext to this is that he’s a Jewish man pursuing a story critical of the Catholic Church in a Catholic city. He’s the one point around which the film seems to delve into less overt themes, everything else being more or less explicit. The film does what all good biographical flicks do in flagrantly manipulating the time frame. Real life events rarely adhere to a structure or schedule ideal for a film narrative and the timeline of events, which is inconvenient for a straight procedural, but the film is deftly laid out. Spotlight has a satisfying arc to it. Part of this is down to employing some scenes that are steeped in film convention of narrative progression and resolution that does break the verisimilitude occasionally, but that’s a forgivable sin. The result is a finely acted and gripping film that really does earn the right to raise your hackles at the abuse and negligence of these corrupt clergymen. I only wish every other ‘based on real events’ film saw fit to meet the same standards of competence. Verdict: Spotlight is that rare thing, an agenda film with some talent in front of and behind the camera.